As with any type of party, there is planning and organizing to do. 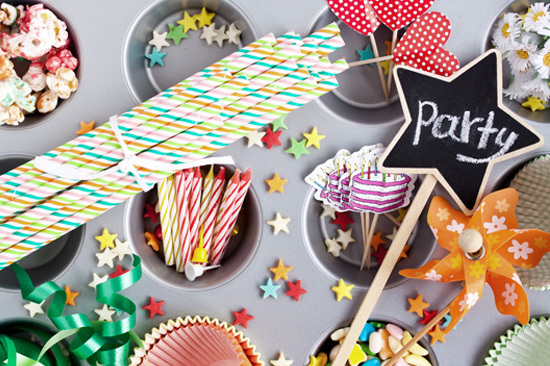 However, when it comes to a child’s birthday party, there always seems to be more planning involved. Celebrating your child’s birthday, especially during their younger years, is just as much for the parents as it is for the child. This is why it is important to understand the ins and outs of how to plan a kid’s birthday party. Allow your child to pick the theme for the party well in advance (at least a month). Although it is not necessary that you have theme, it does make it easier when it comes to shopping for decorations, invitations, and more. If you will be hosting the party at a venue, be sure it is available during the date and time you want. Be sure to book the venue immediately so you do not lose it and have to make a last minute change in location. Once you have all the specifics nailed down and have secured the venue for the party, you can begin the invitations. Include your child, by letting him/her decide who to send invitations to. You can even allow your child to help with the invitations (if old enough). If you have specifics regarding gifts, make sure that you make a note of that with the invitation. Purchase or make your decorations well in advance. You may need to shop around to find the items to match your theme, so do not wait until the last minute – you may not find what you want. Order the food (if needed) and the birthday cake you will have at the party. Depending on where you are ordering these items, you may need to order 2 to 3 weeks in advance. On the day of the party, get the help from a few family members or friends to help set up the decorations, pick up the food or cake, and help keep the party going. People love kid’s birthday parties, as they are usually more fun and relaxed. So remember to do your planning and organizing well in advance and then enjoy the party! I love these ideas! These are great! I love the idea of letting the kid pick his or her own theme, because they love them more if they get to feel they had some input. On the other hand, it might be good to give them a choice of three themes instead of just letting them pick something out of the blue. Otherwise, they might want to pick a spaceship theme and demand a real spaceship, for example! My niece and nephew had a birthday party at an Art Soup place one time, and they gave the kids a choice of themes and it boiled down to just a few girl choices and a few boy choices. The kids got to choose their themes and everyone was happy. Made for some great pictures, too!